The MPC congregation is invited to two worship services to begin the Lenten season. All are welcome to St. Andrew’s (Voznesenskiy pereulok 8/5) at 19:00 for a service led by Father Clive. 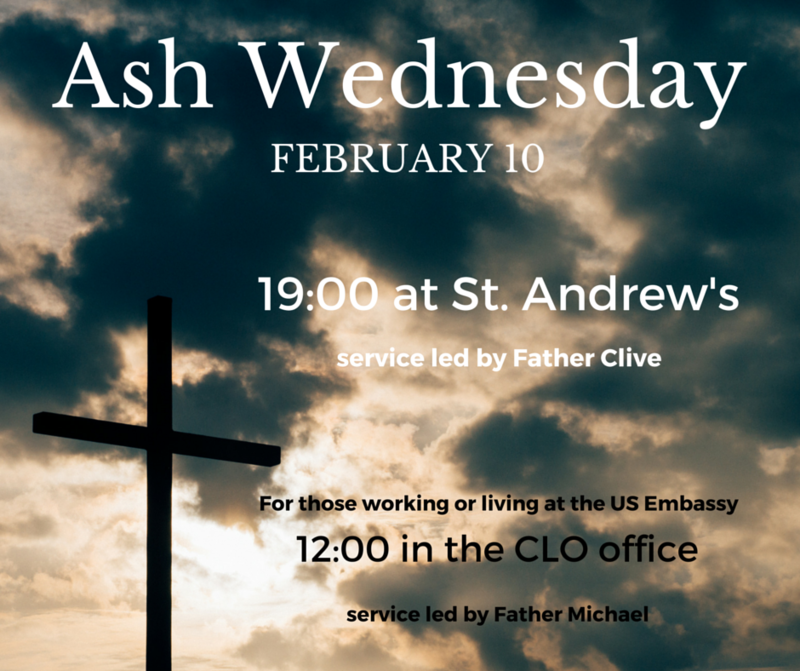 For those who live and work at the US Embassy, Father Michael will lead a service in the CLO room across from the cafeteria at 12:00. Due to security constraints, those without an Embassy access pass will not be able to attend the 12:00 service.